Once you enter into a room, it’s a home away from home. 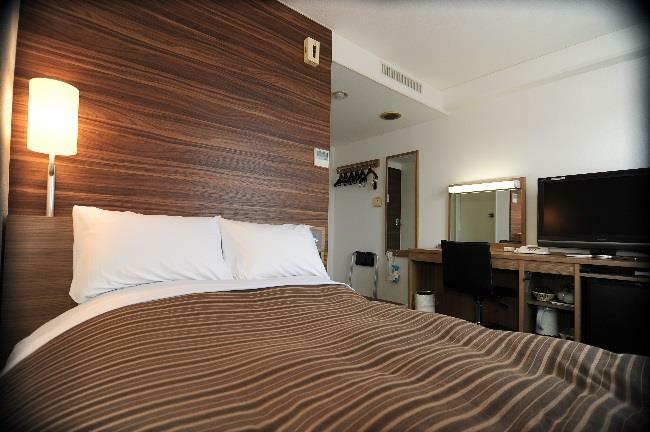 We get in feedback that “best night sleep I’ve ever had in a hotel”. 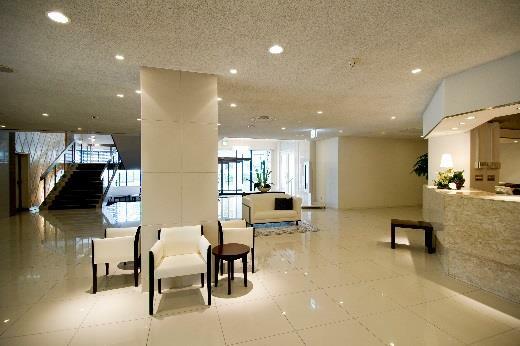 First visiting guests would come back as repeat visitors, that’s why our hotel has been loved over the years. 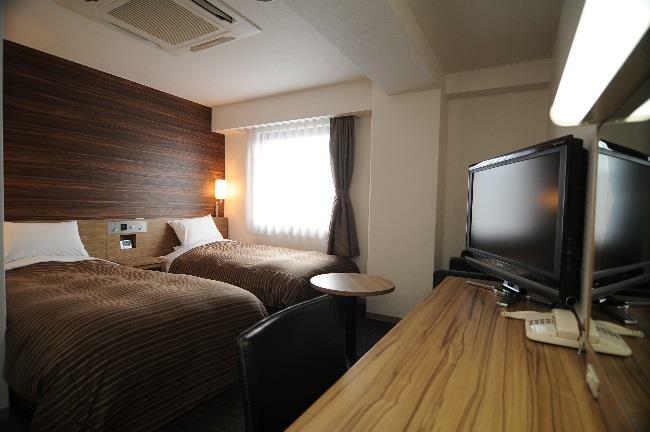 The hotel is located in 10 minutes’ walk down to the street from Kurayoshi Station. 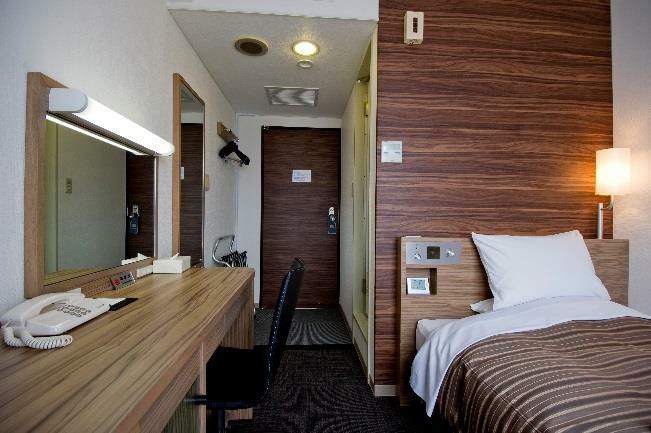 Free wi-fi Internet is available in rooms. We’re pleased to welcome you overseas tourists. 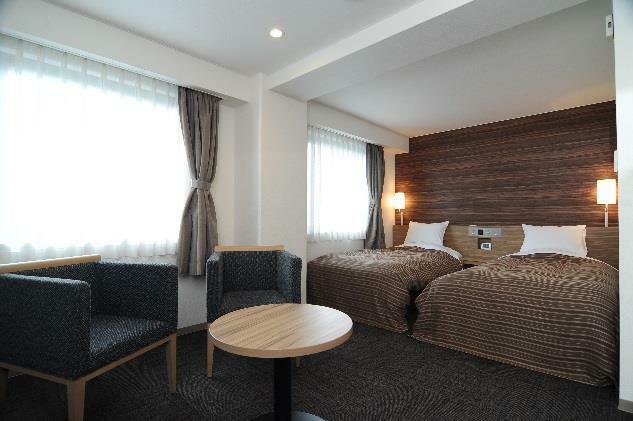 We hope you enjoy your trip around Kurayoshi and Tottori. 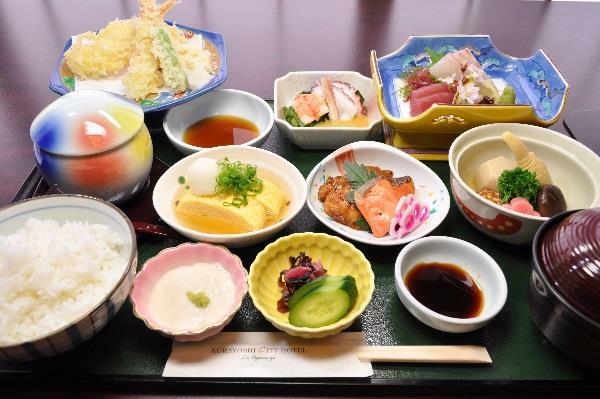 We famously do real Japanese meals, which are beautiful in looks as well. If once you visit FUJIKURA, it would be a destination in its own right. 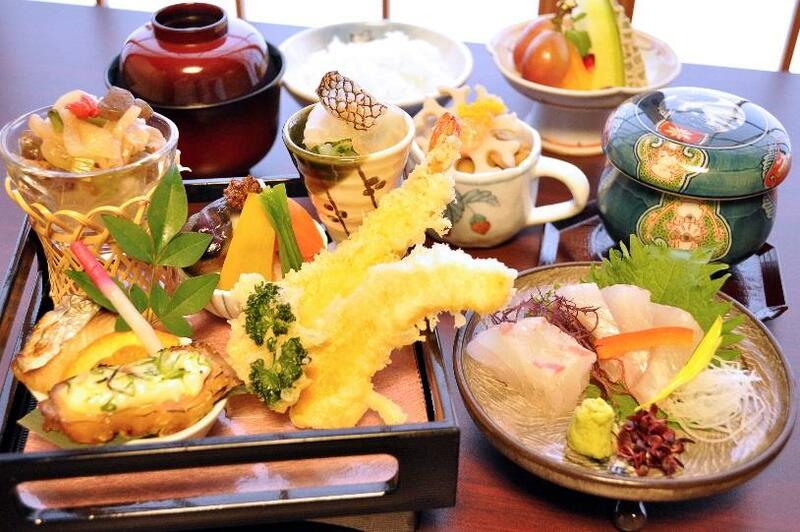 FUJIKURA is one of the best Japanese restaurants in Tottori, which local people rave about. It’s popular in word of mouth as well. 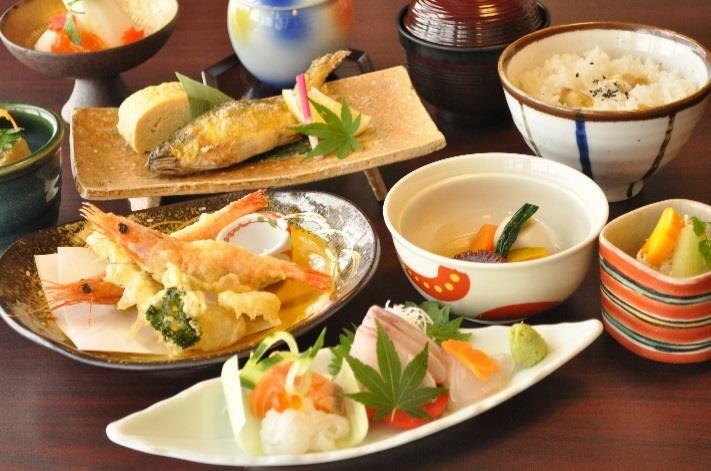 You can enjoy various kinds of menu according to the time of the year. You’ll find Japanese best, “Shun” here in FUJIKURA. 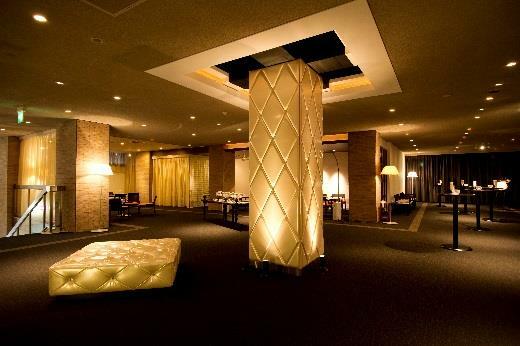 You can experience traditional Japanese food, tempura, sashimi, sushi (and more) in tatami rooms. We have a good selection of sake, we recommend you try one of middle-of-the-range. We do sweets arranged to Japanese style. 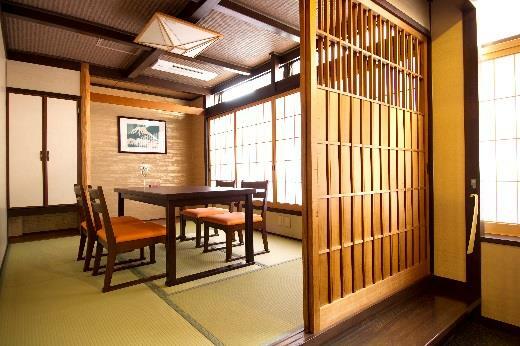 CREAS MERY is worth visiting to experience Japanese food culture. 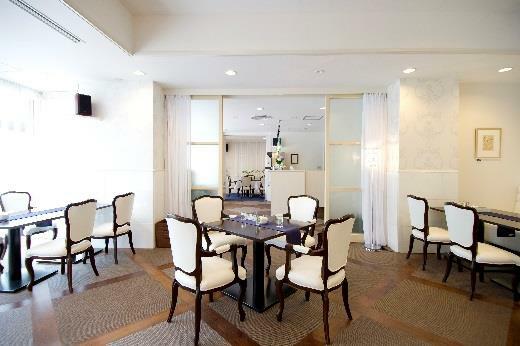 Here you can take a rest during your trip and relax yourself over a cup of coffee/tea and sweets.